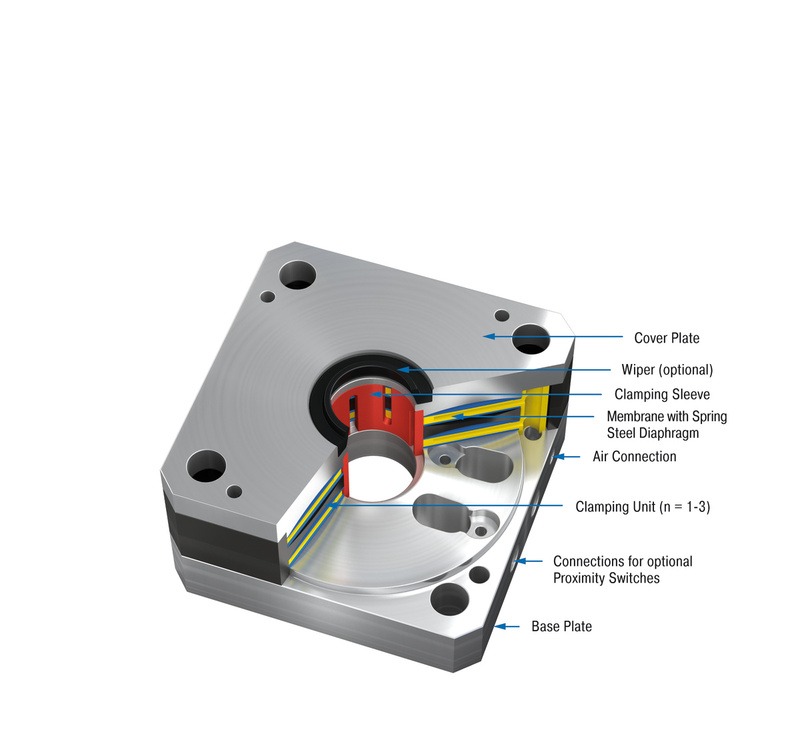 Immediate clamping in case of loss of pneumatics: Suitable for rods with diameters of 20 mm to 40 mm, the clamping elements LOCKED PN absorb the forces axially and rotationally. With holding forces of up to 36,000 N, they reach or exceed the levels of hydraulic clamps. The system costs are however lower. 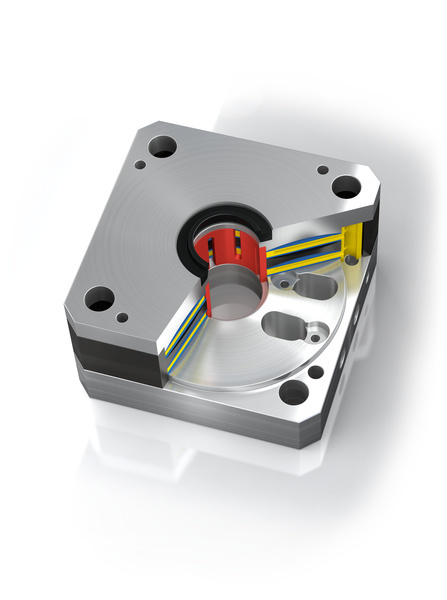 Alongside clamping in both directions of motion, the LOCKED-PN also surprises with its compact design. They need less installation space and enable short rod lengths. Many users appreciate the modular system. 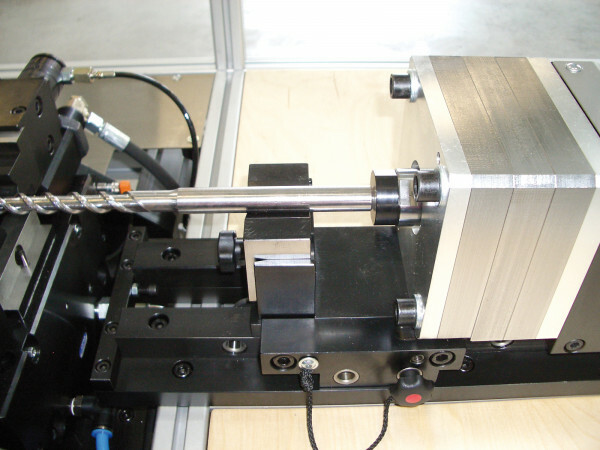 It allows several segments to be stacked so that the necessary clamping force can be attained for every application. When mounting, use hardened piston rod. Special designs as for example special diameters and accessories available on request. 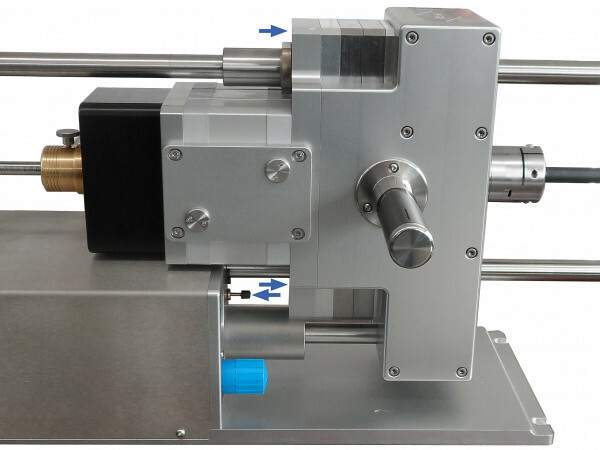 Also available are versions matching to ISO pneumatic cylinders including base plates coordinated to the dimensions of the flange sizes of standard cylinders according to ISO 15552. 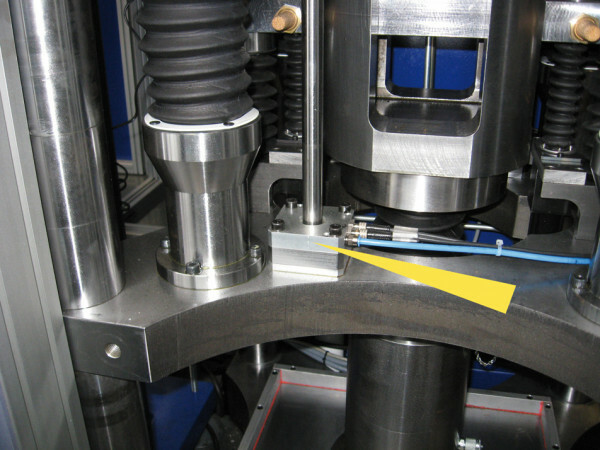 The areas of application for the ACE product family LOCKED PN are mechanical engineering and machine tools.